Legal document describing the care that you received. Means by which you or a third-party payer can verify that you actually received the services billed for. Source of information for public health officials charged with improving the health of the regions that they serve. Tool to assess the appropriateness and quality of care that you received. Tool to improve the quality of health care and achieve better patient outcomes. Ensure its accuracy and completeness. Understand who, what, where, why, and how others may access your health information. Make informed decisions about authorizing disclosure to others. Better understand the health information rights detailed below. Request restriction on uses and disclosures of your health information for treatment, payment, and health care operations. “Health care operations” consist of activities that are necessary to carry out the operations of the provider, such as quality assurance and peer review. The right to request restriction does not extend to uses or disclosures permitted or required under the following sections of the federal privacy regulations: § 164.502(a)(2)(i) (disclosures to you), § 164.510(a) (for facility directories, but note that you have the right to object to such uses), or § 164.512 (uses and disclosures not requiring a consent or an authorization). The latter uses and disclosures include, for example, those required by law, such as mandatory communicable disease reporting. In those cases, you do not have a right to request restriction. The consent to use and disclose your individually identifiable health information provides the ability to request restriction. We do not, however, have to agree to the restriction, except in the situation explained below. If we do, we will adhere to it unless you request otherwise or we give you advance notice. You may also ask us to communicate with you by alternate means, and if the method of communication is reasonable, we must grant the alternate communication request. You may request restriction or alternate communications on the consent form for treatment, payment, and health care operations. If, however, you request restriction on a disclosure to a health plan for purposes of payment or health care operations (not for treatment), we must grant the request if the health information pertains solely to an item or a service for which we have been paid in full. Obtain a copy of this notice of information practices. Although we have posted a copy in prominent locations throughout the facility and on our website, you have a right to a hard copy upon request. Psychotherapy notes. Such notes consist of those notes that are recorded in any medium by a health care provider who is a mental health professional documenting or analyzing a conversation during a private, group, joint, or family counseling session and that are separated from the rest of your medical record. Information compiled in reasonable anticipation of or for use in civil, criminal, or administrative actions or proceedings. Protected health information (“PHI”) that is subject to the Clinical Laboratory Improvement Amendments of 1988 (“CLIA”), 42 U.S.C. § 263a, to the extent that giving you access would be prohibited by law. Information that was obtained from someone other than a health care provider under a promise of confidentiality and the requested access would be reasonably likely to reveal the source of the information. Information that is copyright protected, such as certain raw data obtained from testing. A licensed health care professional, such as your attending physician, has determined, in the exercise of professional judgment, that the access is reasonably likely to endanger the life or physical safety of yourself or another person. PHI makes reference to another person (other than a health care provider) and a licensed health care provider has determined, in the exercise of professional judgment, that the access is reasonably likely to cause substantial harm to such other person. The request is made by your personal representative and a licensed health care professional has determined, in the exercise of professional judgment, that giving access to such personal representative is reasonably likely to cause substantial harm to you or another person. For these reviewable grounds, another licensed professional must review the decision of the provider denying access within 60 days. If we deny you access, we will explain why and what your rights are, including how to seek review. If we grant access, we will tell you what, if anything, you have to do to get access. We reserve the right to charge a reasonable, cost-based fee for making copies. We did not create the record. If, as in the case of a consultation report from another provider, we did not create the record, we cannot know whether it is accurate or not. Thus, in such cases, you must seek amendment/correction from the party creating the record. If the party amends or corrects the record, we will put the corrected record into our records. The records are not available to you as discussed immediately above. The record is accurate and complete. If we deny your request for amendment/correction, we will notify you why, how you can attach a statement of disagreement to your records (which we may rebut), and how you can complain. If we grant the request, we will make the correction and distribute the correction to those who need it and those whom you identify to us that you want to receive the corrected information. To you for disclosures of protected health information (“PHI”) to you. For the facility directory or to persons involved in your care or for other notification purposes as provided in § 164.510 of the federal privacy regulations (uses and disclosures requiring an opportunity for the individual to agree or to object, including notification to family members, personal representatives, or other persons responsible for your care of your location, general condition, or death). For national security or intelligence purposes under § 164.512(k)(2) of the federal privacy regulations (disclosures not requiring consent, authorization, or an opportunity to object). To correctional institutions or law enforcement officials under § 164.512(k)(5) of the federal privacy regulations (disclosures not requiring consent, authorization, or an opportunity to object). That occurred before April 14, 2003. Name and address of the organization or person who received the protected health information. Brief description of the information disclosed. Brief statement of the purpose of the disclosure that reasonably informs you of the basis for the disclosure or, in lieu of such statement, a copy of your written authorization or a copy of the written request for disclosure. The first accounting in any 12-month period is free. Thereafter, we reserve the right to charge a reasonable, cost-based fee. Revoke your consent or authorization to use or disclose health information except to the extent that we have taken action in reliance on the consent or authorization. Maintain the privacy of your health information, including implementing reasonable and appropriate physical, administrative, and technical safeguards to protect the information. Provide you this notice as to our legal duties and privacy practices with respect to individually identifiable health information that we collect and maintain about you. Train our personnel concerning privacy and confidentiality. Implement a sanction policy to discipline those who breach privacy/confidentiality or our policies with regard thereto. Mitigate (lessen the harm of) any breach of privacy/confidentiality. We will not use or disclose your health information without your consent or authorization, except as described in this notice or otherwise required by law. These include most uses or disclosures of psychotherapy notes, marketing communications, and sales of PHI. Other uses and disclosures not described in this notice will be made only with your written authorization. We may use your health information for treatment. Example: A physician, a physician’s assistant, a therapist or a counselor, a nurse, or another member of your health care team will record information in your record to diagnose your condition and determine the best course of treatment for you. The primary caregiver will give treatment orders and document what he or she expects other members of the health care team to do to treat you. Those other members will then document the actions that they took and their observations. In that way, the primary caregiver will know how you are responding to treatment. We will also provide your physician, other health care professionals, or a subsequent health care provider copies of your records to assist them in treating you once we are no longer treating you. Note that some health information, such as substance abuse treatment information, may not be used or disclosed without your consent. We may use your health information for payment. Example: We may send a bill to you or to a third-party payer, such as a health insurer. The information on or accompanying the bill may include information that identifies you, your diagnosis, treatment received, and supplies used. Note that some health information, such as substance abuse treatment information, may not be used or disclosed without your consent. We may use your health information for health care operations. Example: Members of the medical staff, the risk or quality improvement manager, or members of the quality assurance team may use information in your health record to assess the care and outcomes in your cases and the competence of the caregivers. We will use this information in an effort to continually improve the quality and effectiveness of the health care and services that we provide. Note that some health information, such as substance abuse treatment information, may not be used or disclosed without your consent. We provide some services through contracts with business associates. Examples include certain diagnostic tests, a copy service to make copies of medical records, and the like. When we use these services, we may disclose your health information to the business associates so that they can perform the function(s) that we have contracted with them to do and bill you or your third-party payer for services provided. To protect your health information, however, we require the business associates to appropriately safeguard your information. After February 17, 2010, business associates must comply with the same federal security and privacy rules as we do. Unless you notify us that you object, we may use your name, location in the facility, general condition, and religious affiliation for directory purposes. This information may be provided to members of the clergy and, except for religious affiliation, to other people who ask for you by name. We may use or disclose information to notify or assist in notifying a family member, a personal representative, or another person responsible for your care, location, and general condition. Unless you object, we, as health professionals, using our best judgment, may disclose to a family member, another relative, a close personal friend, or any other person that you identify health information relevant to that person’s involvement in your care or payment related to your care. We may disclose health information to funeral directors consistent with applicable law to enable them to carry out their duties. We may contact you to provide appointment reminders or information about treatment alternatives or other health-related benefits and services that may be of interest to you. If we contact you to provide marketing information for other products or services, you have the right to opt out of receiving such communications. Contact the Office Manager at 734/394-2661. If we receive compensation from another entity for the marketing, we must obtain your signed authorization. We may contact you as a part of a fundraising effort. You have the right to request not to receive subsequent fundraising materials. Contact the Office Manager at 734/349-2661. We may disclose to the FDA health information relative to adverse effects/events with respect to food, drugs, supplements, product or product defects, or post-marketing surveillance information to enable product recalls, repairs, or replacement. If you are an inmate of a correctional institution, we may disclose to the institution or agents thereof health information necessary for your health and the health and safety of other individuals. Health oversight agencies and public health authorities. 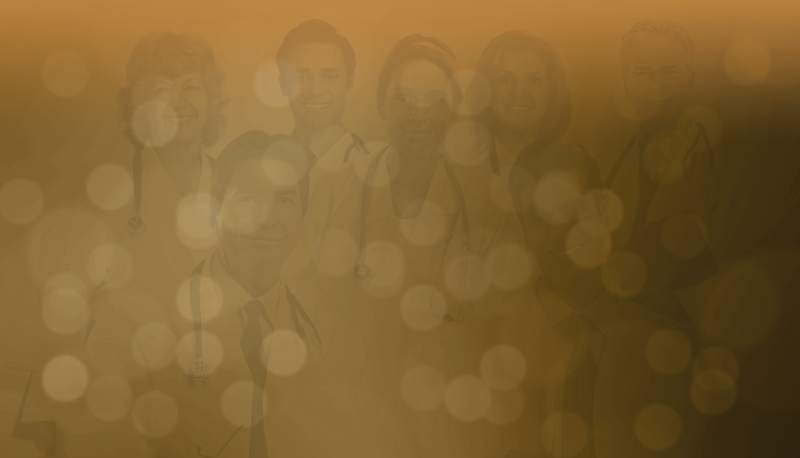 If members of our work force or business associates believe in good faith that we have engaged in unlawful conduct or otherwise violated professional or clinical standards and are potentially endangering one or more patients, workers, or the public, they may disclose your health information to health oversight agencies and/or public health authorities, such as the Department of health. The federal Department of Health and Human Services (“DHHS”). Under the privacy standards, we must disclose your health information to DHHS as necessary to determine our compliance with those standards. For asthma and allergy care, call Canton Asthma & Allergy at one of our offices or request an appointment online.